Vuelta al Pais Vasco: Who is Ilnur Zakarin? Ilnur Zakarin, currently lying sixth overall in the Vuelta al Pais Vasco, has caused many to scratch their heads – who is he? 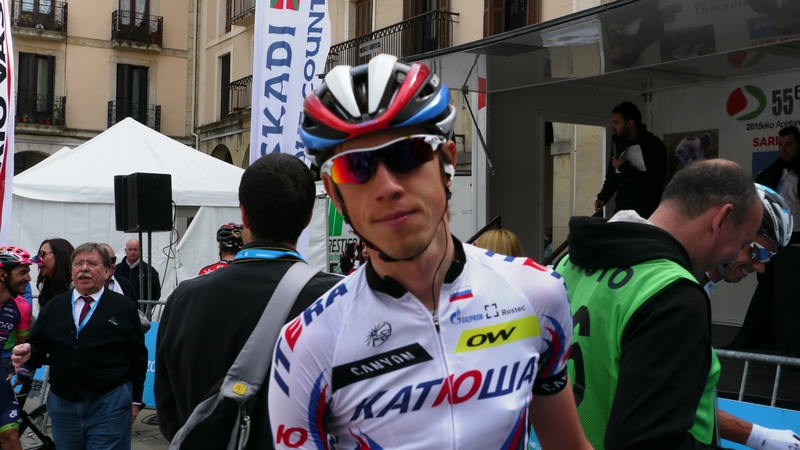 Only the most successful Russian in last year’s UCI Europe Tour, who joined Katusha at the start of this season. Zakarin rode for the Russian development squad in 2013-2014, where he’d recorded four victories and five podiums, including overall wins at the Tour of Azerbaijan, Grand Prix of Sochi and Grand Prix of Adygeya, as well as runner-up at the Tour of Slovenia. In addition, in 2013, he was the Russian time trial champion. Ilnur is one of the brightest Russian riders of the new generation. In the last few years, he’s progressed rapidly, having been strongly supported by the ITERA-Katusha and RusVelo teams. Ilnur proved himself in the Europe Tour, so now he has an opportunity in the WorldTour with the world’s cycling elite in the Team Katusha. The 25-year-old started the season brightly with tenth place overall in the Tour de San Luis, largely off the back of his sixth place in the time trial. He’s now cementing his reputation as ‘one to watch’ in the Tour of the Basque country. He was third on stage one, won by power-sprinter Michael Matthews, and finished eighth in the leading group atop Arrate in yesterday’s stage four. Zakarin didn’t have the best of starts to his career, testing positive for anabolic steroids in 2009 and serving a two-year ban, but we’re hoping that those days are behind him and he rides to his potential in the coming years.